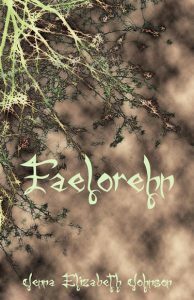 A few factors inspired me to write Faelorehn and the books to follow in the Otherworld series. First and foremost, I had studied Celtic myth and lore in college and wanted to share my love for all things Celtic with my readers. I also admired how Rick Riordan made Greek Mythology more accessible to younger readers through his Percy Jackson series, and I wished to do the same with regards to Celtic Mythology, but for a slightly older audience. Amanda Hocking's Trylle series was another point of inspiration. Hocking drew upon the Norse tradition of trolls to create her story and found great success as an independent author. I hoped my readers would enjoy Faelorehn as much as Riordan's and Hocking's readers enjoyed their work. Finally, as many authors will tell you, there was a story inside me that just had to get out. Several books later, I'm still discovering new and magical places and people in the Otherworld. Meghan (my main character) evolved over time. I had a general idea of how I wanted her to look and what her personality would be like, but she came into her own as I wrote the story. It is told from first person perspective (my other series is written in third person), so I learned to listen to her over time. I wanted someone who appeared placid and shy on the outside, but hid a great wealth of magic and strength on the inside. Meghan starts out the series as the girl in high school no one notices, or the one noticed by the bullies and mean girls, who grows and changes and comes into her own, as well as discovers just how strong she can be. Cade is my main male protagonist and he is very much based on characters from Celtic lore. The gods and goddesses of Celtic mythology are very similar to their Norse and Greek counterparts and Cade is no exception. Cade also harbors an inner strength despite the hardships he's faced in his long life. He smiled, forcing the corners of his eyes to crinkle. I had to look away. Why couldn’t the boys at school be this attractive? It might make their taunts more bearable. “You were right in guessing who I was earlier,” he said, standing up once again. I had to crane my neck to keep an eye on his face. Even though he had the charm of a well-versed movie star, there was no way I was going to trust him. To wake up from a dream and find myself in the middle of the forest, surrounded by the living corpses of dogs, then to have him appear out of nowhere and chase them off with superhuman speed? Yeah, that was normal. Right. He took a deep breath then ran both hands through his thick hair. I watched him carefully, not sure what his next move would be. I blinked, feeling myself return to my previous stupor. What was he talking about? He knew about those horrible dogs? It was his job to take care of them? What did that mean? And most importantly, how did he know my name? I felt ill, as if I were going to throw up. I tried to stand, letting the trench coat slip off of me. All of a sudden it felt like a net meant to trap me like a bird. “Meghan,” he said, reaching out. But I cringed away from him, and offered him his coat with a shaky hand. His voice had deepened and that only made my stomach churn more. It was a statement, not a question. I knew I was doomed then. Wasn’t it true that if a victim revealed to her attacker just how terrified she was, then she had already lost the game? Sure, he had chased off those dogs, but maybe only to keep me whole so he could take me off to some bomb shelter somewhere to torture me slowly. I shivered both from the return of the autumn cold and from the knowledge that I was completely at his mercy at this point. He held up his right arm, palm out, as if he was planning to hit me with some kung fu move. “What are you doing?” The panic in my voice matched the racing of my heart. I stared at his hand as he moved closer, wondering if I should try and fight him off if he reached for me. My mind seemed to grow fuzzy, my vision blurred. And then I was swallowed by darkness. Every other month, I draw a random name from my newsletter list and that person wins their choice of one of my paperback books.